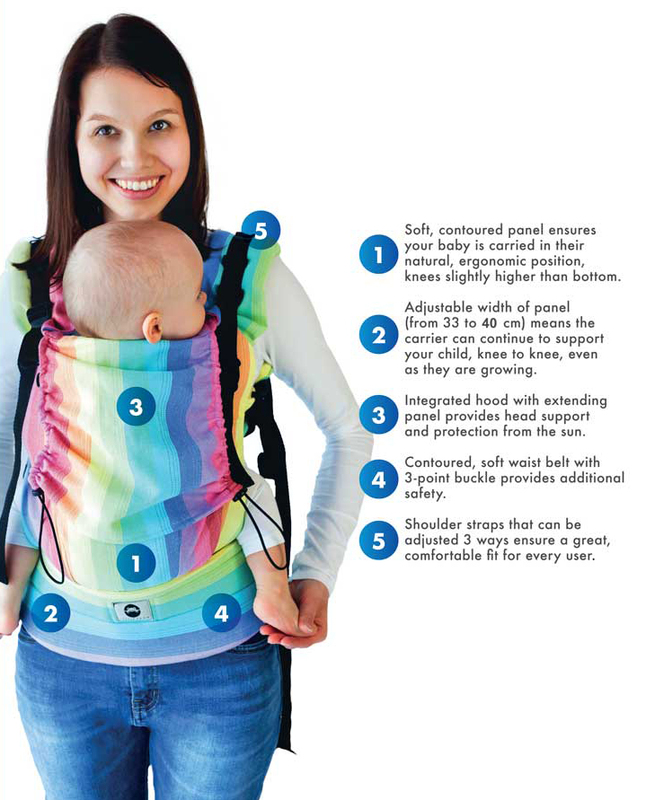 Little Frog carrier is dedicated for parents who would like to carry their baby from beginning in healthy and safe position. There is nothing better than closeness. For babies from 4 (9 lbs) to 20 kg (45 lbs), aged to 24 months old. 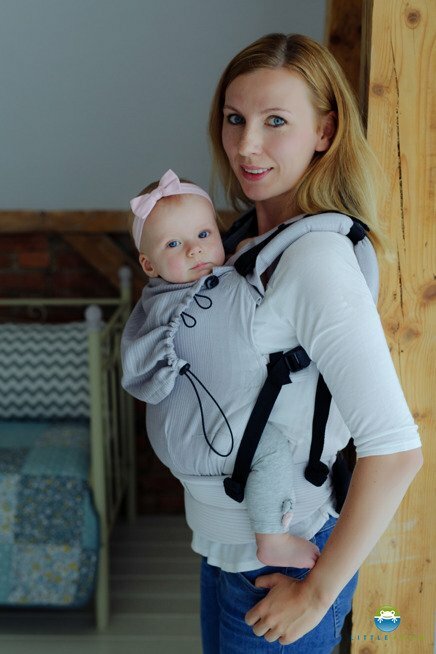 Little Frog carrier is dedicated for parents who would like to carry their baby from beginning in healthy and safe position. There is nothing better than closeness. Going for walk, for shopping or doing daily work at home – will become much easier. 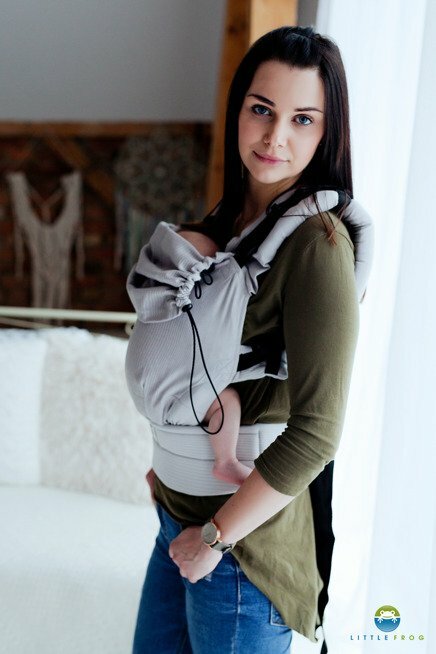 In Little Frog carrier – you can wear your baby from 4 kg (9lbs) to 20 kg (lbs) in position belly-to-belly (also with straps crossed), and on your back (when baby is over 4 months). 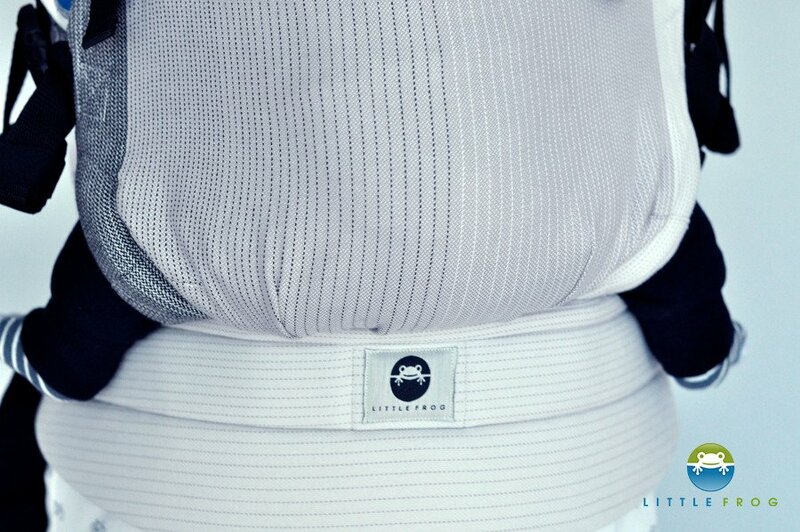 This carrier will grow with your baby because you can extend panel in width and height and make it fit to your baby’s size.